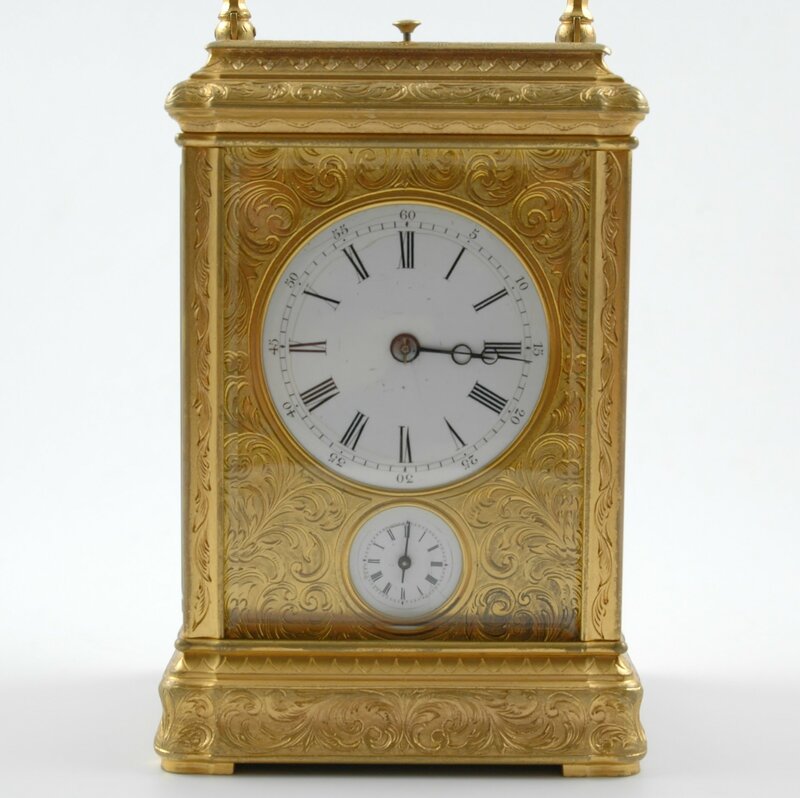 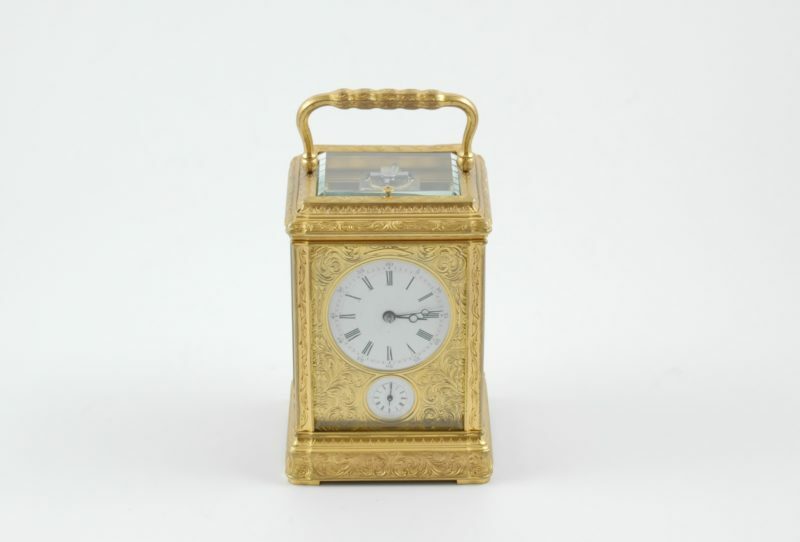 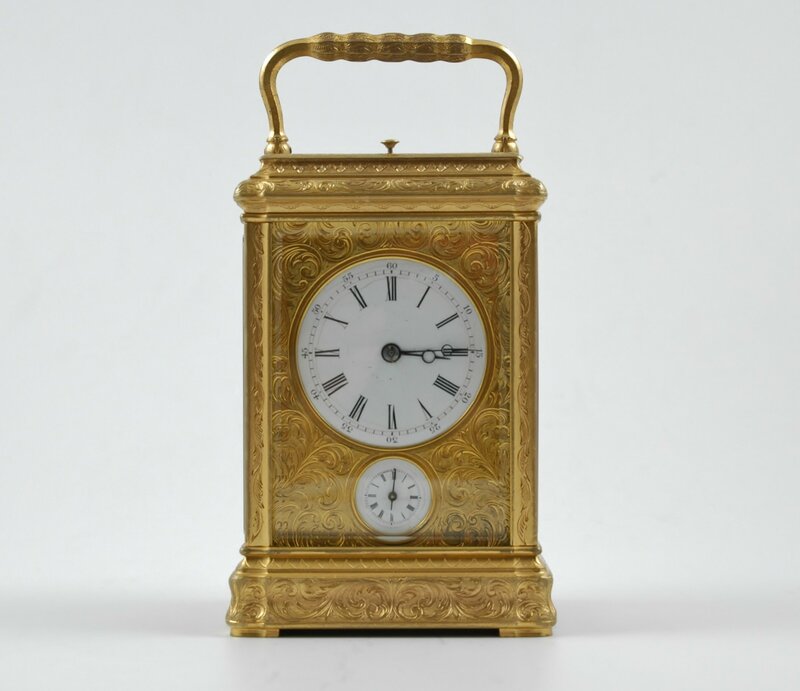 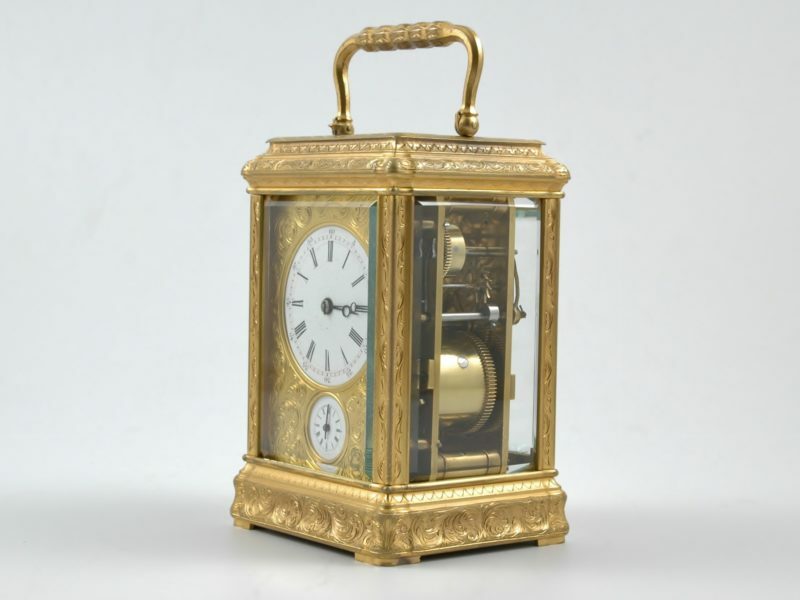 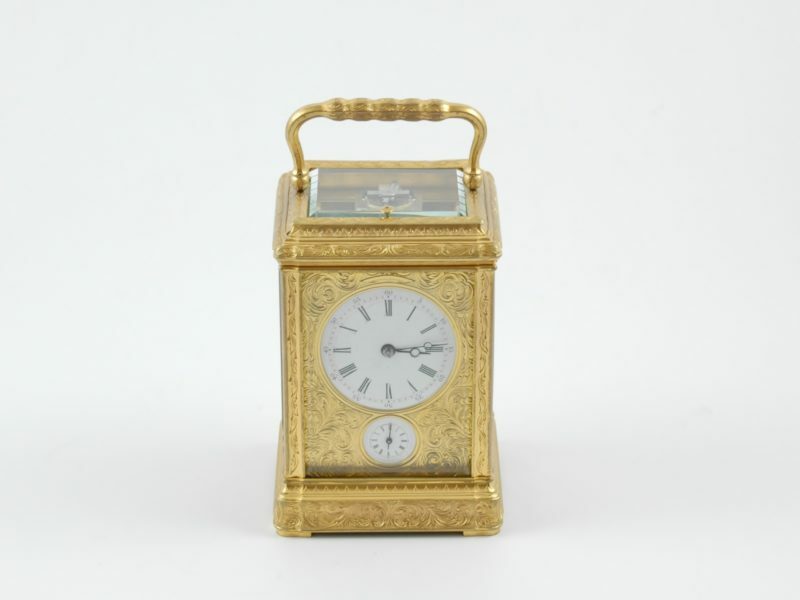 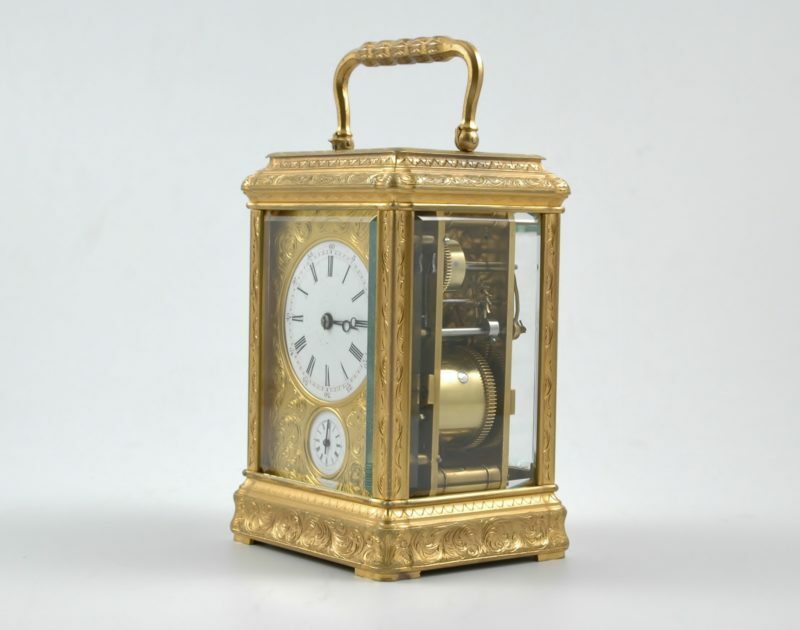 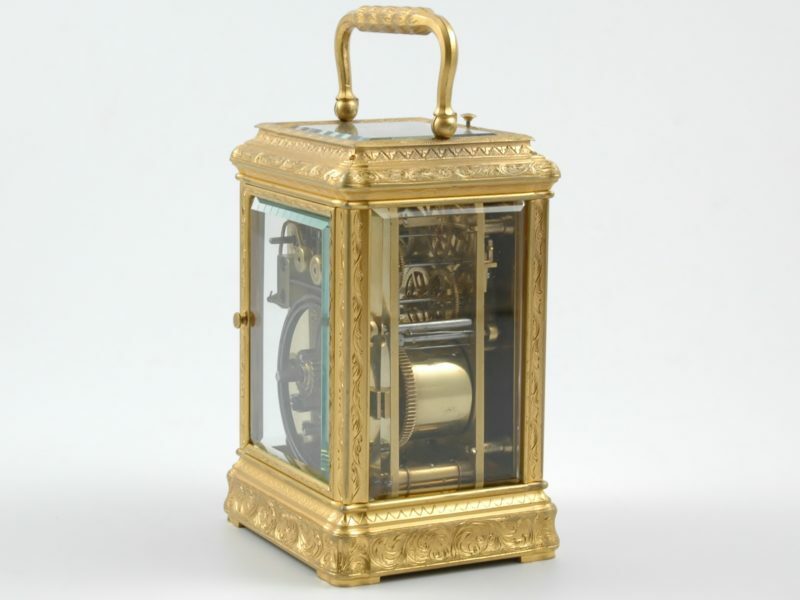 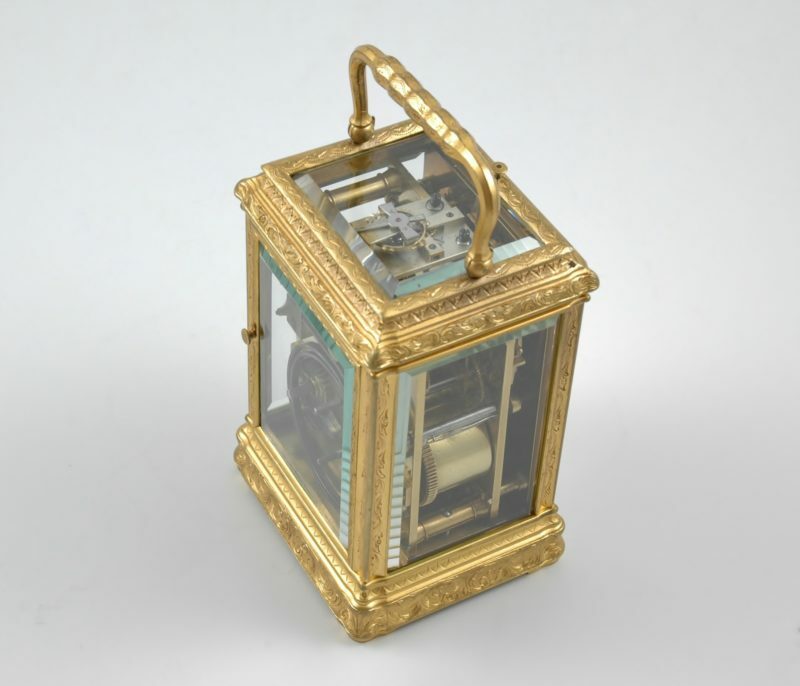 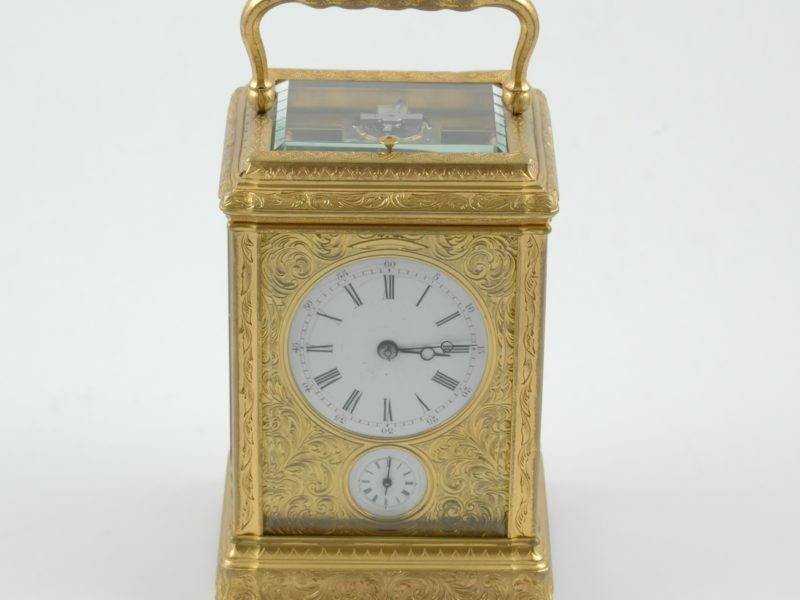 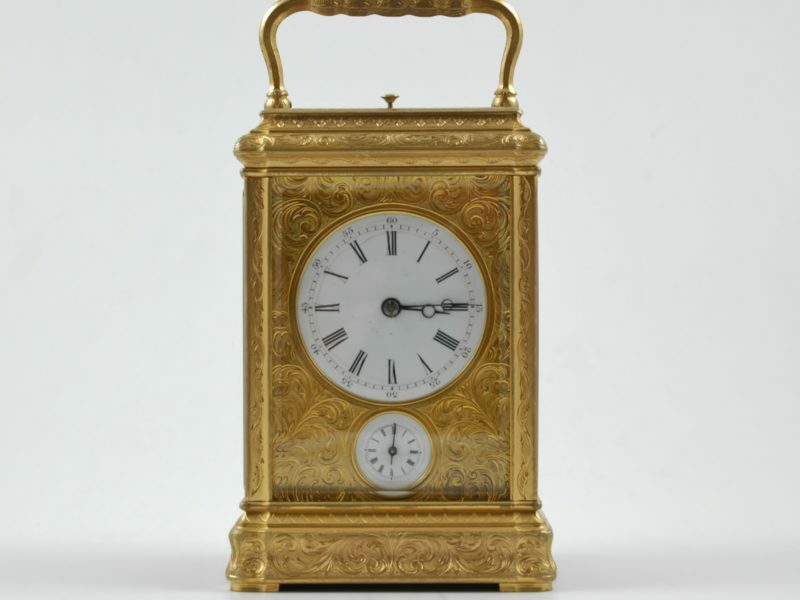 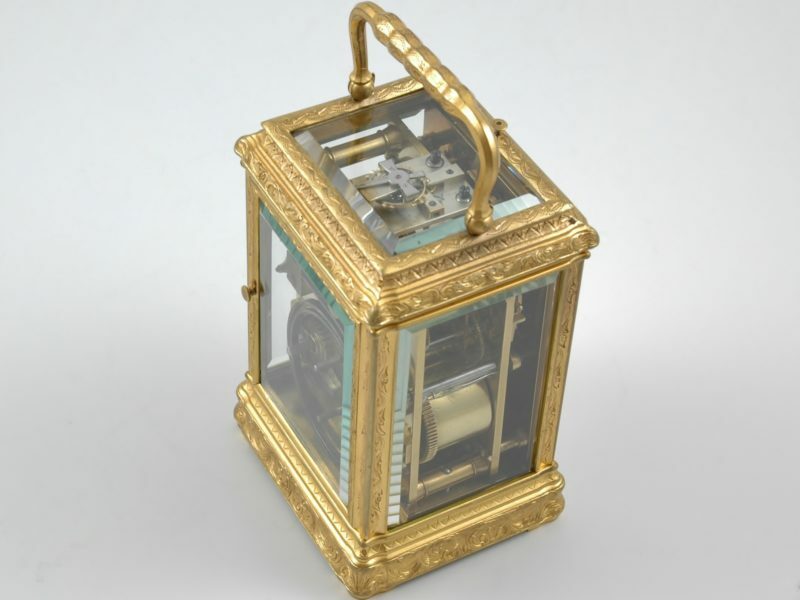 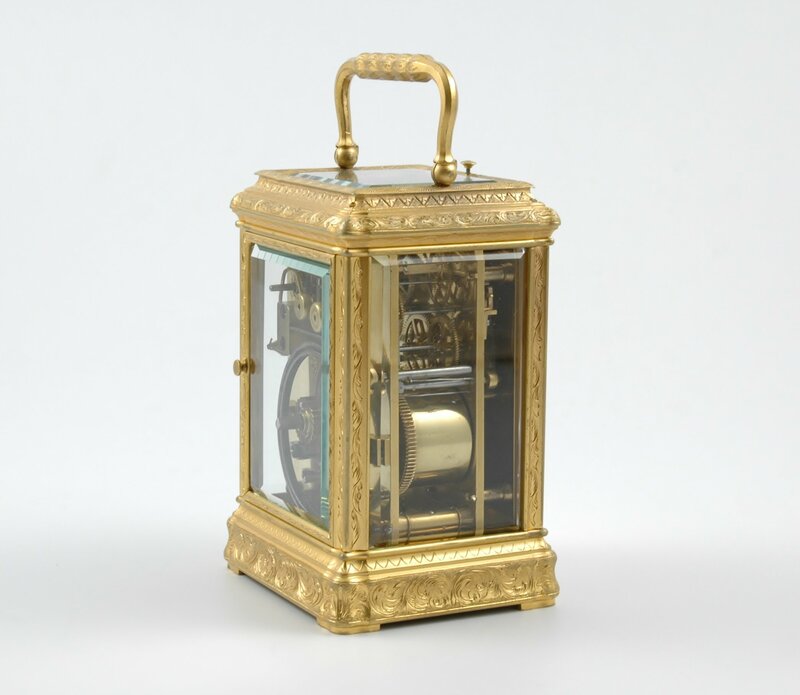 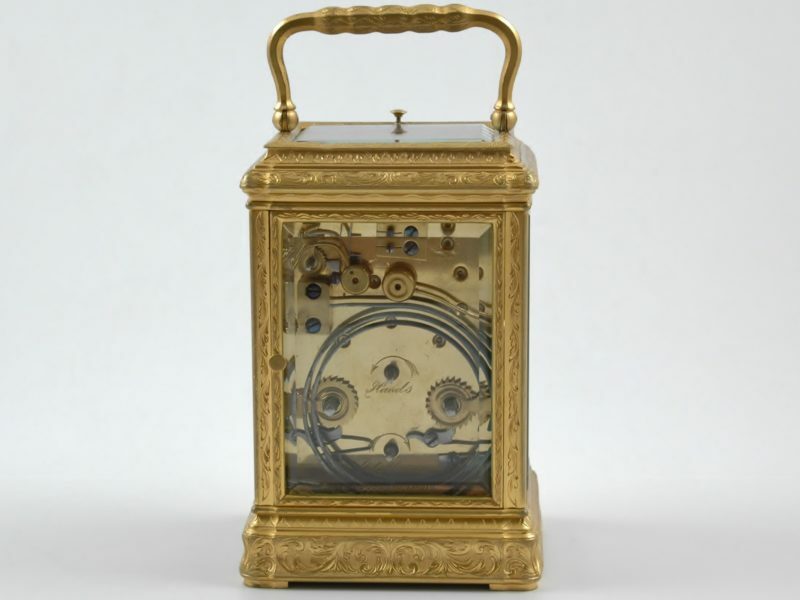 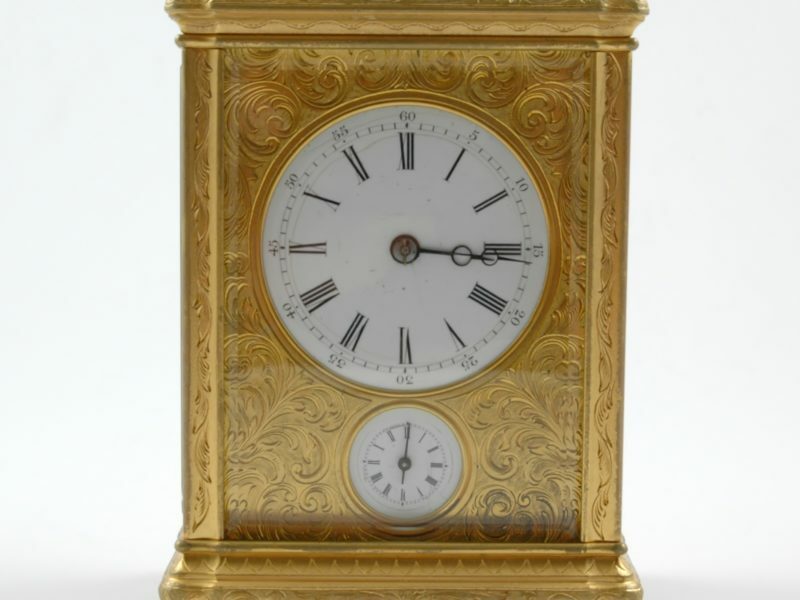 A late nineteenth century French engraved gilt-brass striking and repeating carriage clock with alarm. 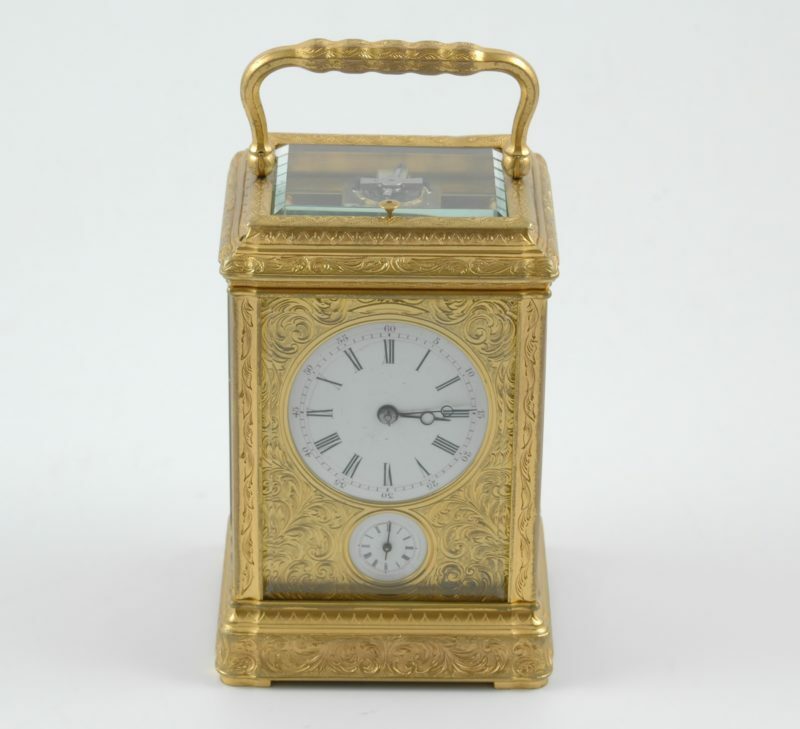 Dimensions: 8.5 cm wide by 7.3 cm deep by 12.8 cm high to top of case. 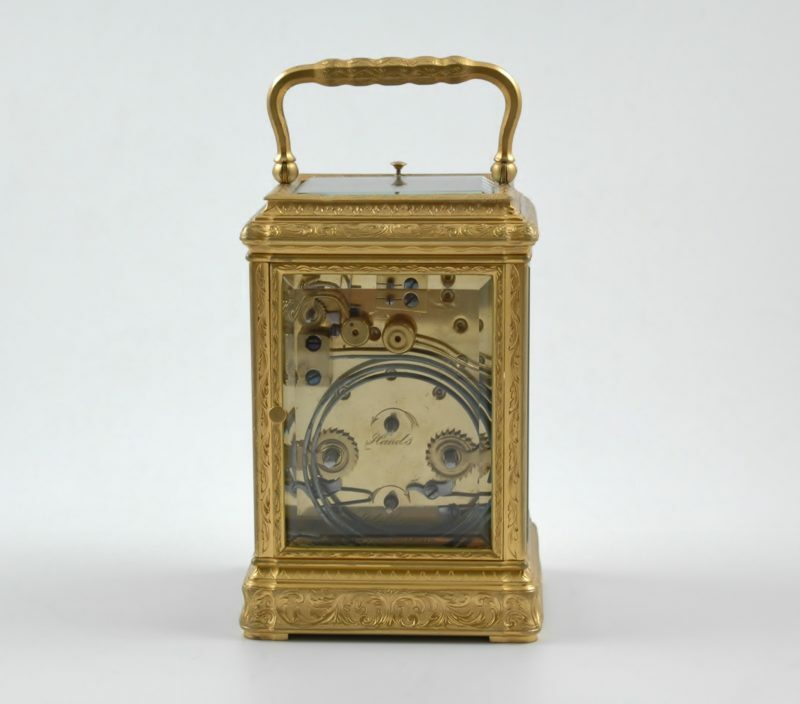 Note: Complete service done 30 November 2017 by Cornelius Lehr.